Looking to rent cameras in phoenix? 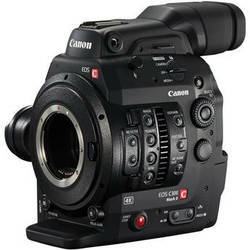 Check out Reelmen camera rental inventory + reserve yours today. Arri Alexa Basic includes: Basic Alexa body and accessories – no lens or support. The Arri AMIRA is a versatile documentary-style camera that combines exceptional image quality with an ergonomic design optimized for single-operator use and extended shoulder-mounted operation. Ready to pick up and shoot straight out of the camera bag, AMIRA is hardy enough to take anywhere and features in-camera grading with preloaded 3D LUTs, as well as 200 fps slow motion. It is suitable for a great variety of production types, from reportage and corporate films to TV drama and low-budget movies, so wherever you are headed and whatever you need to shoot, let AMIRA be your companion. Our version is the Premium edition, and is one of the few Amiras available for rent in Arizona. Our package includes 3 Canon batteries, dual charger, AC adapter, a 128GB Cfast card, Cfast card reader, 15mm rod base plate, and a v-mount battery adapter. The Canon EOS C100 Digital Video Camera brings together the renowned technology of Canon CMOS sensors, DIGIC DV III Image Processor, and EF lens compatibility in a smaller, lighter body. Modular and compatible with a host of Canon and third-party accessories, the EOS C100 brings true cinema quality to independent event videographers and video production organizations.